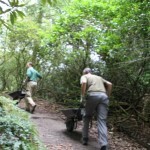 Thanks to all the volunteers who turned out for our October 2011 Workday. 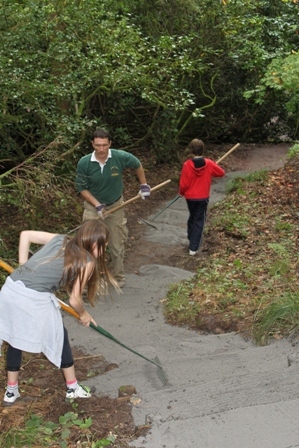 As promised at the beginning of the Summer, Cardiff Council repaired the eroded footpath, diverted the stream, built a new bridge, and delivered a few tons of stonedust. 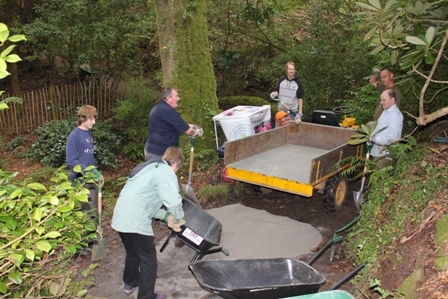 Following our summer Workdays re-establishing the old path that has been closed for 3 years, the Friends ‘just’ needed to add the top layer and takeaway the barrier fences at the entrances. 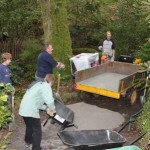 All volunteers worked very hard on a job that took us over 3 hours and we are proud to announce the job finally complete. 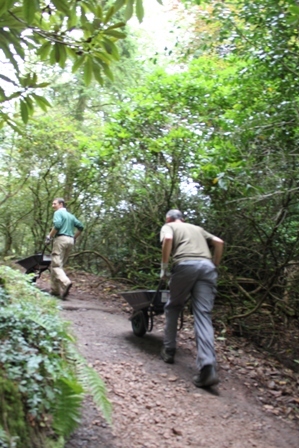 (Thanks also to Alan P who independently managed to make the wee path opposite the ‘old summer house’ navigable again that day.) 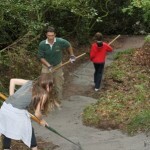 We’d be happy to receive comments (form below) on what you think of the new path or you may like to join us on our next Workday on 20th November 2011.